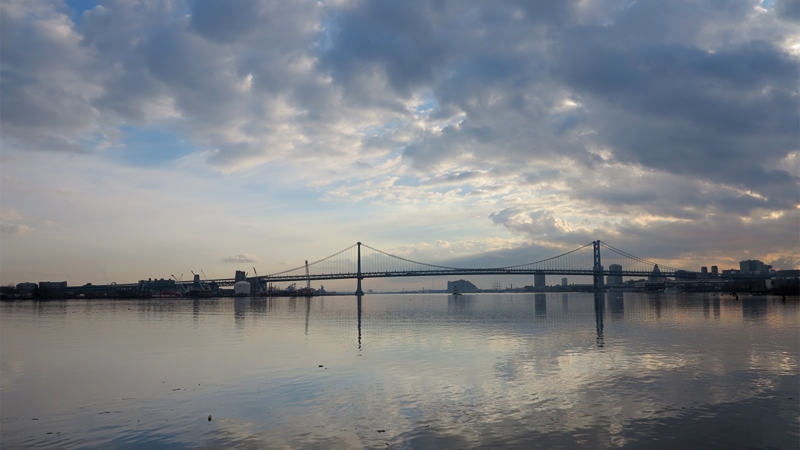 An initiative launched this week will focus on researching the best way to protect the Delaware River and its watershed in the face of climate change. How will climate change affect the Delaware watershed and the region's water supply? That's the "elephant in the atmosphere," as the Academy of Natural Sciences' Roland Wall put it, and part of the focus of a multimillion-dollar research initiative launching this week. Researchers know that changes in temperature and precipitation will impact the Delaware River and the areas that surround it, but Wall, director of the academy's environmental initiatives, said much less is known about the best approaches to prepare for this and protect the water supply in general. "Unless we understand them scientifically, we can't really say what's the right thing to do about them," said Wall. The initiative, administered through the academy and Drexel University, includes $5 million to support academic research exploring this question, specifically as it relates to the Delaware Watershed, the 13,500-square mile area from New Jersey to Delaware that drains into the Delaware River. The initiative will also zero in on whether other approaches and technology already in place are enough to protect the water supply. "There're really specific things, like how much forest does it take to make a watershed work well? What kinds of contaminants are being dealt with? What's the best way of dealing with them?" Wall said. "So understanding if we want to do protection, if we want to do restoration, if we want to make sure streams continue to function properly, then we need to understand what all of the mechanics of those things are." The William Penn Foundation is funding the initiative. That's in addition to its $40 million funding of on-the-ground watershed projects through the Delaware River Watershed Initiative. Full disclosure: The William Penn Foundation supports WHYY coverage of watershed issues. How Can Small Cities And Towns Reconnect With Their Rivers? 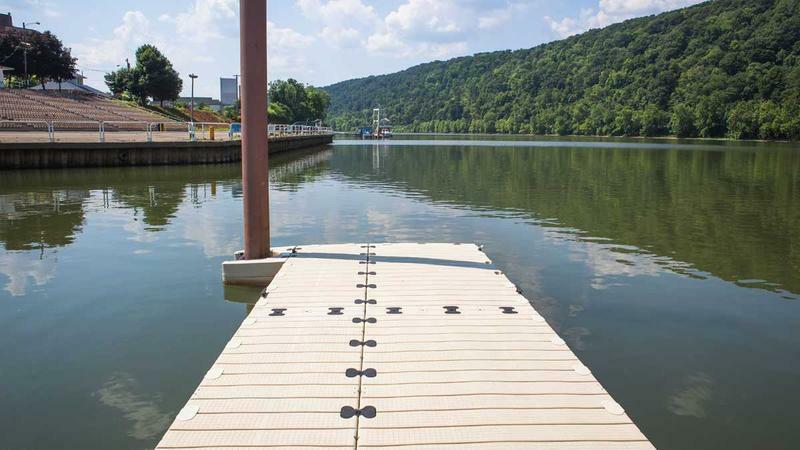 As the industries along urban waterfronts have faded, big cities like Philadelphia and Pittsburgh have come up with robust master plans — and significant funding — to connect people with their rivers. But what can smaller municipalities with fewer resources do to revitalize their waterfronts? Michael Catania walks on a rocky beach at Petty's Island. He picks up a flat stone and flings it out into the Delaware River. The stone skips a few times toward a shipping terminal and the church steeples of Philadelphia's Port Richmond neighborhood. "I feel like a little boy when I come here," said Catania, chairman of the New Jersey Natural Lands Trust. Wooden stakes protrude from the ground. The remains of an old pier line the perimeter of the beach. Plastic bottles, old tires, a TV, and bricks sliced in half — one side "key," the other "stone," litter the shoreline. 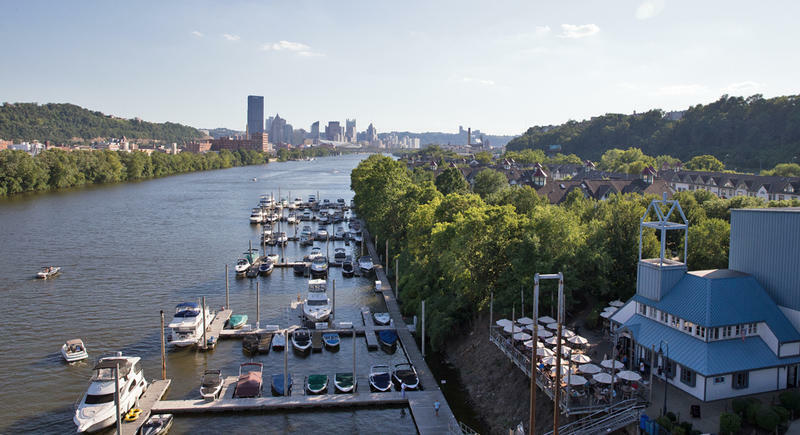 With three rivers to take care of, Pittsburgh certainly has its hands full when it comes to making sure the waterways are clean. This week, volunteers will be pitching in to do just that Friday, July 10 at 4th Street on the South Side, beginning at 5 p.m.